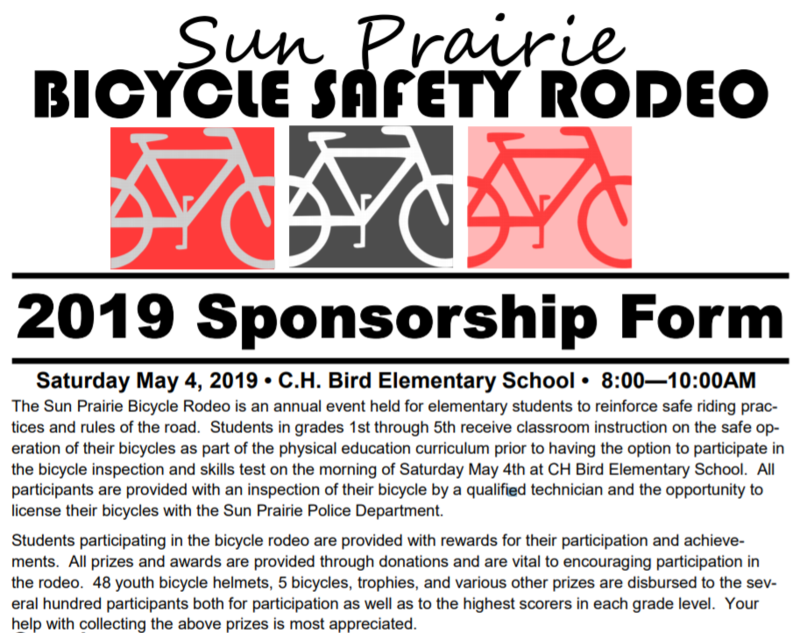 In the interest of safety for the Sun Prairie youth, the Bicycle Safety Rodeo Program provides the elementary school children a fun and safe experience for riding their bicycle. Here is a link to their Facebook event. Through this program, all students in grades 1 thru 5 receive classroom instruction on safe riding practices and rules of the road. 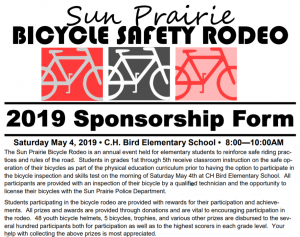 They also participate in the skills test for the safe operation of their bicycle at the Bicycle Rodeo which will be held at C. H. Bird Elementary School on May 4, 2019. 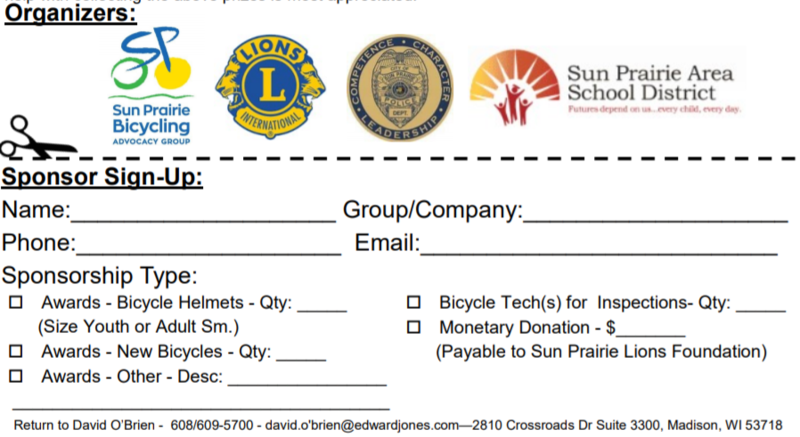 Students participating in the bicycle rodeo receive rewards for their participation and achievements. 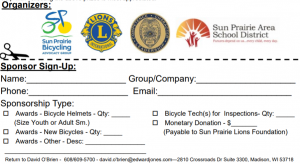 You could win a new bicycle, a bicycle helmet or a trophy!